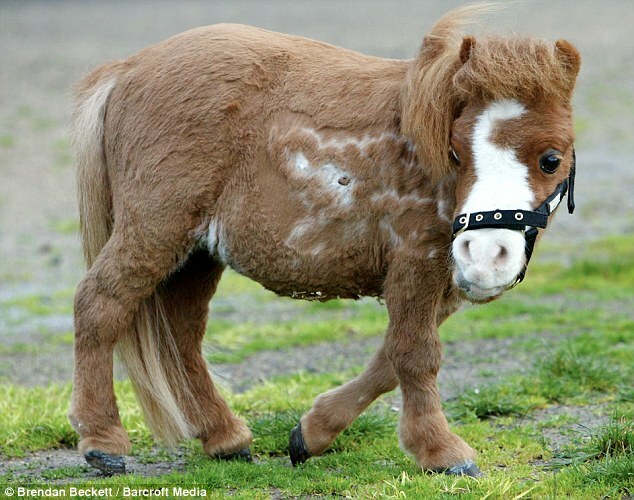 Meet Koda the miniature horse: "He is so tiny, visitors often assume he's a stuffed toy. Standing at 59cm tall, if Koda the horse wants an equal he has to turn to the vetinary cat for company. The 'American miniature' horse - who suffers the double-whammy of being born a dwarf - has had a bout of health problems caused by his size, but he is now recovering and enjoying the life of a pampered pet."